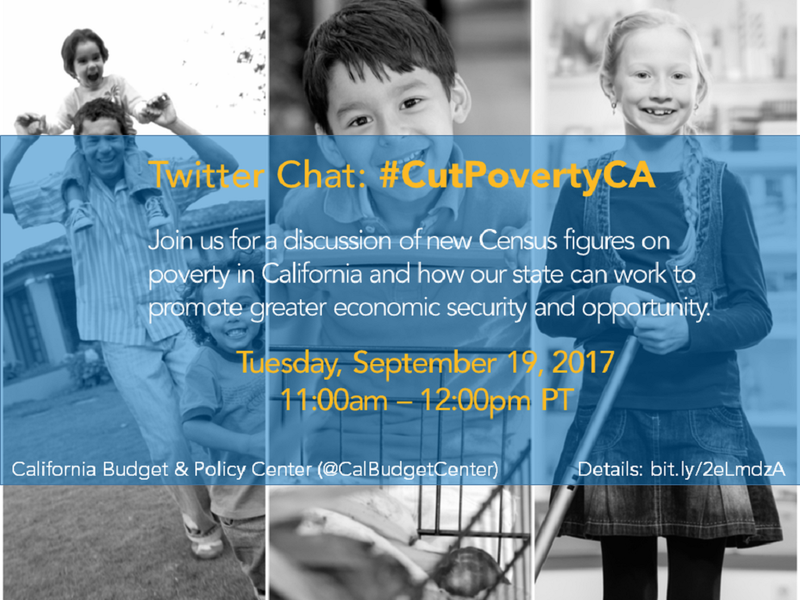 The Budget Center hosted a Twitter chat, #CutPovertyCA, Tuesday, September 19, 2017 from 11:00 am to noon, to discuss the 2016 Census poverty figures for California and what they mean for our state. The chat was an opportunity to share different perspectives on poverty and discuss ways that policymakers and other key players could help address economic hardship and broaden prosperity. 1. What stood out for you the most in the new Census poverty figures? 2. 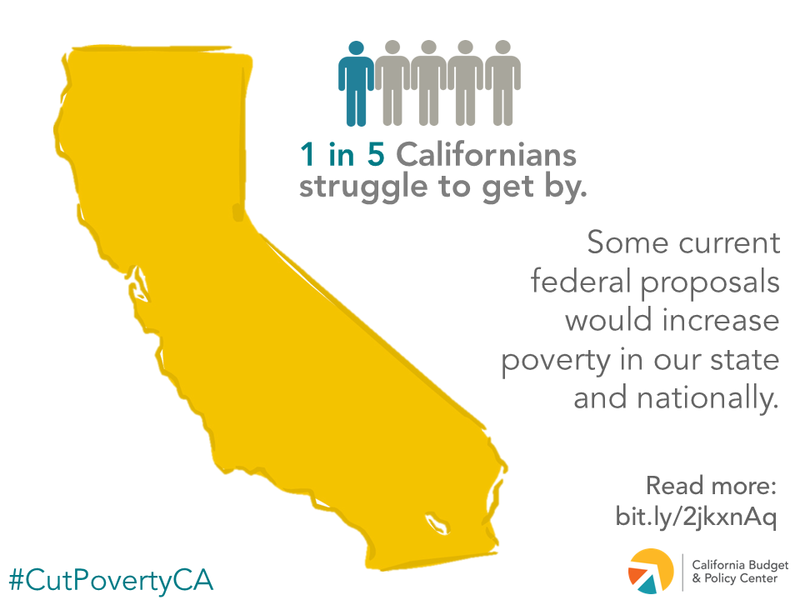 What does poverty look like in your community? 3. What are some of the obstacles that prevent people from escaping poverty? 4. What are some ways we can reduce poverty? 5. What do more people need to know about poverty? 6. What’s at stake for people living in poverty with potential federal budget cuts? 7. In what ways does the housing crisis exacerbate poverty?